Greeneville High School head football coach Caine Ballard, who led the Greene Devils to four state titles, has resigned as coach effective immediately, a notice from the principal states. Ballard informed players, staff members and the administration of his decision Thursday. He's not leaving the school, however. In a statement released by the school, Ballard didn't fully explain why he was leaving. What was described as his full statement begins, "Change is always hard!" He goes on to express thanks for the 20 years he's been part of the "GHS family". "This program is in great hands and has a bright future with all the returning coaches and players," the statement reads. "Winning is the Greene Devil culture! The foundations are strong, built around great people with passionate purpose and everlasting relationships. These coaches work countless hours to ensure the best for our Greene Devils." Ballard closed by noting, "This is not goodbye! I look forward to seeing you in my classroom at GHS, on my farm or around town!" 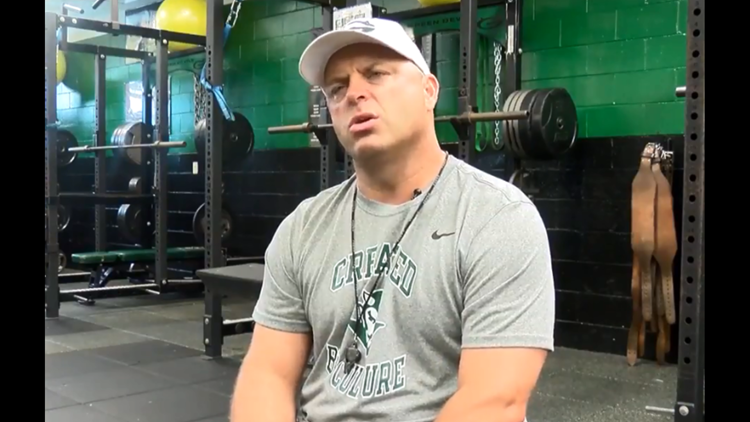 Coach Caine Ballard is stepping down as head coach at Greeneville High School. Ballard will also continue to be assistant athletic director, according to the Thursday notice. Led by senior quarterback Cade Ballard, the coach's son, the Greene Devils won their most recent state championship in November 2018 against Haywood. Cade Ballard will graduate this year and move on to the United States Military Academy in New York. Ballard was among the winningest high school coaches in Tennessee, posting a 119-15 record at Greeneville. The school will seek to replace him immediately, a notice from principal Patrick Fraley reads, "with hopes of having a new coach in place as soon as possible. GHS Receivers Coach Adam Hansel, who has expressed he does not wish to be a candidate for the full-time position, will be assuming the role of interim head coach until the position has been filled." Fraley praised Ballard for his record as well as his dedication to mentoring students. "We sincerely wish him the best as he is afforded the opportunity to spend more time with his wonderfully supportive family," the notice reads. A statement from Steve Starnes, city schools director, reads: "We wish him well in his future endeavors and look forward to him continuing in his role as teacher and assistant athletics director at Greeneville High School."